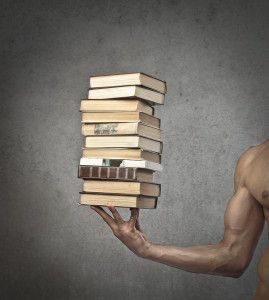 In a world filled with fitness enthusiasts, it gets me fired up when I come across success stories about people changing their lives and others lives through health and fitness. Yet sometimes it bugs me that so called “fitness enthusiasts” don’t truly practice what they preach. They claim to love working out, eating healthy, and doing things that will better their health yet they stand there eating a burger and fries while never working out. Truth be told, I have seen personal trainers (professionals) do this. Eating McDonalds between clients and rarely working out, yet they are teaching others how to be healthy?! Now I am not perfect by any means. I enjoy junk food as much as the next person but I do my best to practice what I preach. And that’s why I put together the list that I have below. To challenge you and myself to be better. This one is obvious. If you are someone who loves fitness and does it all the time, you should easily be able to create a super awesome workout. Lots of protein, good amount of carbs, low in fat. Perfect for your post workout! At some point, working out by yourself gets really old. However finding the right partner can be tough. You have people who talk the entire workout, don’t work hard, and ALWAYS have their own agenda on what they “think” you should be doing. I tell you this because I don’t want YOU to be that kind of partner. Be the type of person that pushes yourself and workout partner to get better each and every time you go to the gym and do it enthusiastically no matter what. 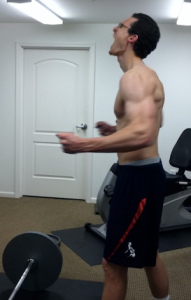 Supersets: Doing 2 exercises back to back with no rest in between. Circuits: Doing 2 or more exercises back to back with little or no rest in between. Do as many burpees as possible in 1-minute and see what you get. If you complete more than 20, your off the hook. If not… Well you better get to work! 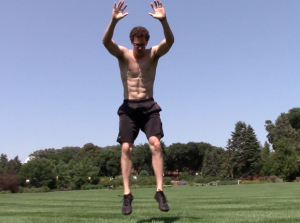 => Can you beat my 50 Burpee Challenge? Pull-ups are one of the toughest exercises around but also one of the best you can do. So here we are with another challenge… This one simply consists of doing as many pull-ups as you can in a row. Your goal should be to get 15-20 in a row. Nothing is worse that working out with someone that bugs the crap out of you. Someone who is always trying to “motivate” you yet does the complete opposite. There is a fine line between motivating and pushing someone… and being the person that is “being in my face and annoying the bejesus out of me.” Are you crossing that line? Did someone catch where that quote is from? Of course starting your workout should begin with a good dynamic stretching session and some bodyweight exercises to make sure you are fully warmed up. But what about ending your workout? They have been called “Encores” or “Finishers” and I firmly believe they are the best way to blast a few extra calories at the end of your workout. Nice mix I know… What are your current top 5? Yet another fitness challenge. This one is 50 pushups in a row without stopping. You should be able to do this at all times during the year. You know the drill. Can you do planks for 90 straight seconds? 5 years ago I would have thought I was crazy for saying this… But now I LOVE raw veggies. Sure cooked are better, however, sometimes you have no other option. The best way to eat raw veggies is by cutting them up and throwing them in a salad with some BBQ chicken and olive oil/balsamic dressing. Mmmmm delicious! Red meat is NOT created equal. The difference between grass-fed and grain-fed is drastic. Without going into much detail, spend the few extra dollars and go with grass-fed. Your health and fat burning will greatly thank you. One of my favorite exercises, something I have been doing since I was 10-years old. This simple workout can burn up to 19 calories per minute (if not more). => Click here to see more! This is definitely a tough one… However as someone like yourself who understands the importance of sleep, this isn’t that difficult to do because all you simply need to do is go to bed early. One of my mentors, Craig Ballantyne wakes up every morning at 4AM… No questions asked. Now that’s impressive. If you can do that, let me know. Multiple studies have shown that early risers are more successful in a wide variety of ways including in their health. Just be sure you are not staying up till midnight then waking at this time. Get in the habit of hitting the sack early so you can rise early to start your day. Get out and move more… Walk, hike, play frisbee, go to the beach, etc. The more active you are the better. This about that for a second… Have you ever gone through a period where health and fitness has consumed every second of your life? I know I have… I know now that it is all about balance. If you skip a workout, don’t stress. Move on and hit it hard the next day. If you mess up on your diet, don’t go all crazy and worry the rest of the day. Now if these are continually happening (skipping workouts and cheating on your diet), that’s when you need to sit down and reevaluate. Working out, eating right, and living a healthy life is all about balance. What we have just covered are some fun ways that you can continually challenge yourself in your fitness while still greatly enjoying life. Remember, health and fitness should not run your life, it should simply be part of it. 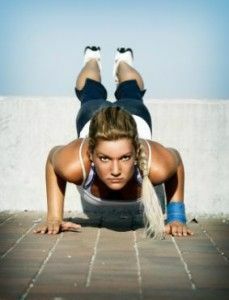 Now drop me a comment and let me know what else fitness enthusiast should be able to do!